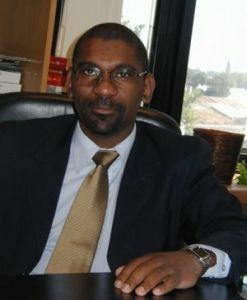 Edgardo Ortuno, Afro-Uruguayan professor, politician, and activist for human rights and equal opportunities, was born on June 10, 1970 in the Uruguayan capital of Montevideo. Ortuno’s childhood experiences had a profound impact on his adult life. Growing up as an Afro-Uruguayan in a country where only four percent of the population were of African descent, Ortuno developed a keen sense of racial pride and a fierce opposition to discrimination of any kind. Moreover, his experience growing up under the military dictatorship of Juan M. Bordaberry, which crushed democracy and open political debate in Uruguay, instilled in Ortuno a belief in freedom of expression and equality. As a young man Ortuno was initially drawn to academia and in the years 1990-1991 he held the position of research assistant at the Center for Interdisciplinary Studies in Uruguay. Between the years 1990 and 1993 Ortuno also worked in the Center of Students of the Institute of Professors in Artigas, Uruguay (CEIP). Throughout this period he involved himself in studies of history, literature, education, and social sciences. Politics, however, would prove to be Ortuno’s passion. Even while involved in academia, Ortuno participated in debates and activities concerning controversial political subjects, developing as he did so a liberal political outlook. In his teenage years, for instance, Ortuno was involved as a student activist in the Confederacy of Secondary Students and in 1987 he voted in a referendum to abolish the Law of Expiration of the Punitive Pretension of the State, which had allowed amnesty for crimes which had been committed during the military dictatorship. Eventually Ortuno moved into electoral politics, joining the coalition party Frente Amplio (FA), a largely leftist party with a commitment to the expansion of social programs in Uruguay. In 2000 he was elected as an MP, becoming the first member of the Uruguayan legislature of African descent. This marked a significant moment for Afro-Uruguayans and has also proved to be a powerful platform from which Ortuno denounces racism, sexism, and discrimination not just in Uruguay, but also in the Americas. In 2003, for instance, Ortuno was invited to sign the Act of Brasilia which calls for an end to racial discrimination across Latin America and the Caribbean. Ortuno was also one of the key campaigners behind the establishment in 2006 of the National Day of Candombe which recognizes the cultural and political achievements of Afro-Uruguayans. Edgardo Ortuno is currently the Ministry of Industry Sub-Secretary for the ruling government of Uruguay and continues to promote the importance of education and equality, participating in efforts to include both more Afro-Uruguayans and females into the Uruguayan political system. Edgardo Ortuno website: http://www.eortuno.depolitica.com.uy; UNHRC Refworld website: http://www.unhcr.org/refworld/country (UNHRC: UN Refugee Agency, 2010); Koichiro Matsuura, Address by Koichiro Matsuura: Afro-Uruguayan cultural traditions and history within the context of the Coalition of Latin American and Caribbean Cities against Racism, Discrimination and Xenophobia (United Nations Educational, Scientific and Cultural Organization, April 2009). and Cultural Organization, April 2009).